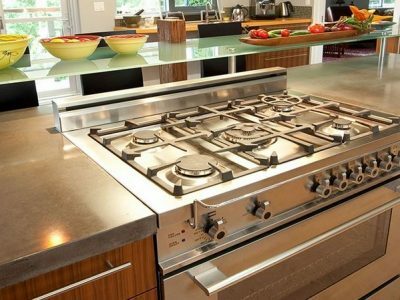 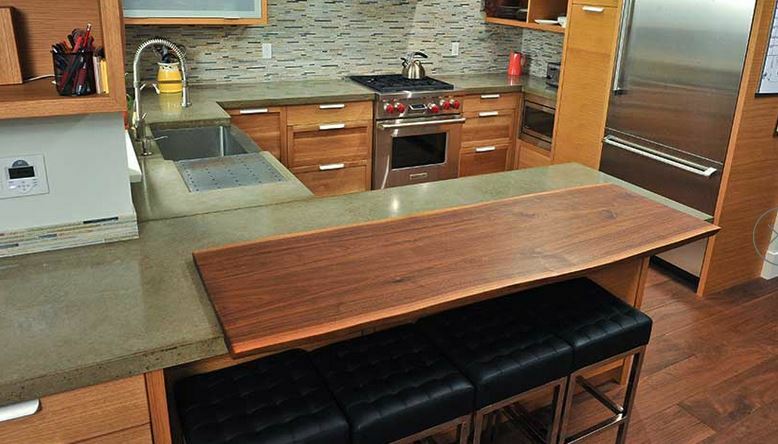 Concrete countertops are a contemporary and eco-friendly alternative to other countertop materials. 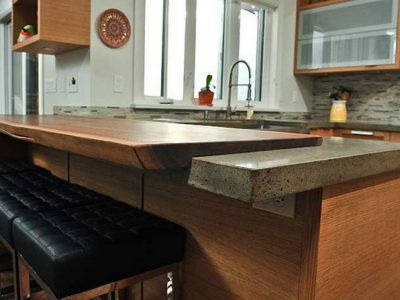 The concrete countertops at The Eco Floor Store are made with materials that are sourced from within 50 KMs of the fabrication facility in Squamish, BC and are reinforced with recyclable fibreglass mesh instead of rebar to make them 100% recyclable. 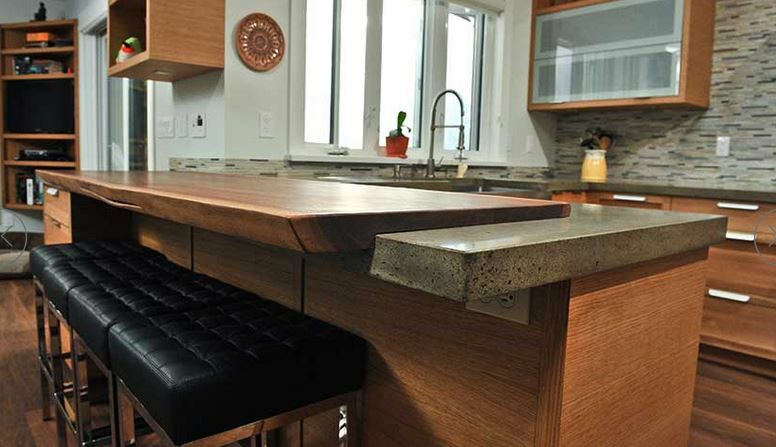 During the fabrication process, special pigments can be added to colour the concrete in a variety of shades. 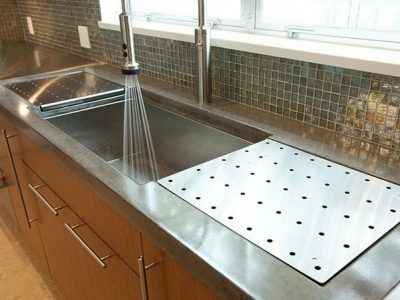 Other complimentary features include rounded over corners, sink and faucet knock outs and on-site polishing after installation. 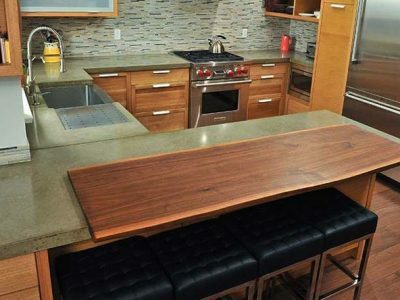 As a unique feature, choose to add ammonite fossils into the surface of the concrete. 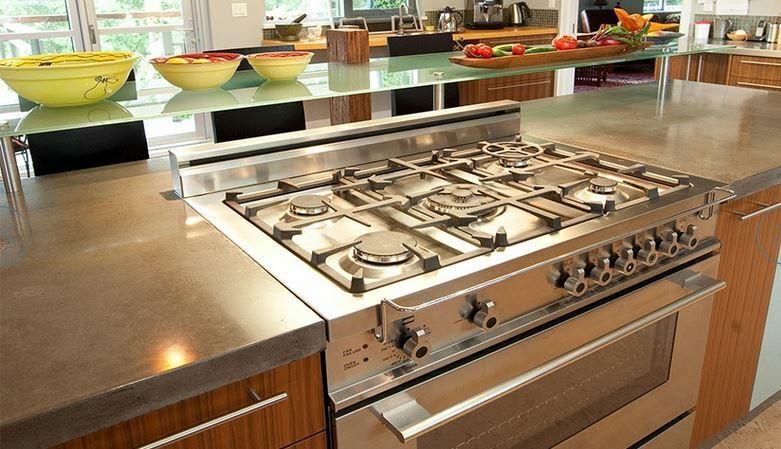 These fossils are hundreds of millions of years old and certainly a conversation piece for company. 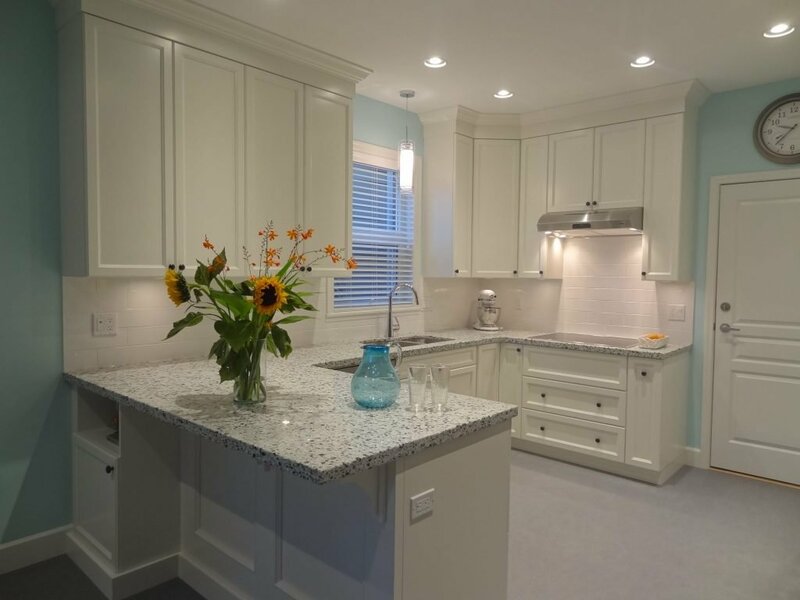 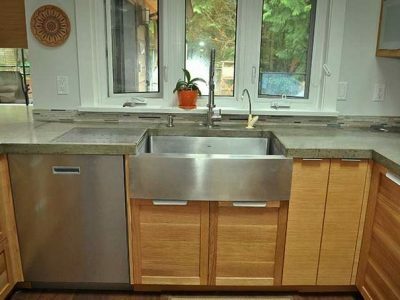 Our concrete countertops have a standard profile of 1 5/8″ thick, but can be manufactured up to 3″ thick. 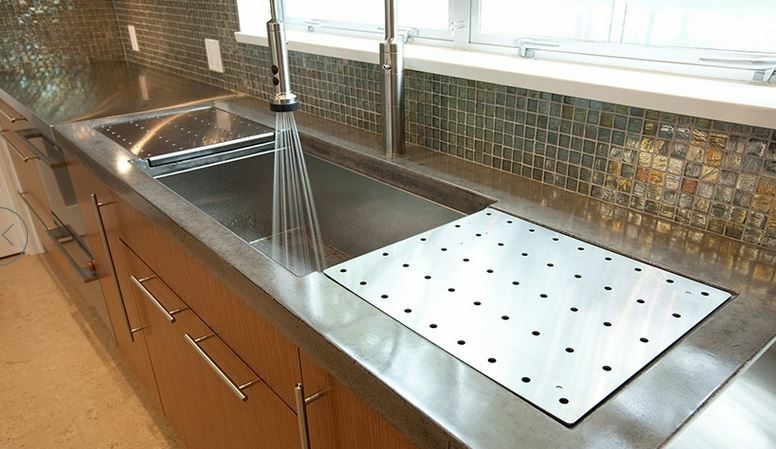 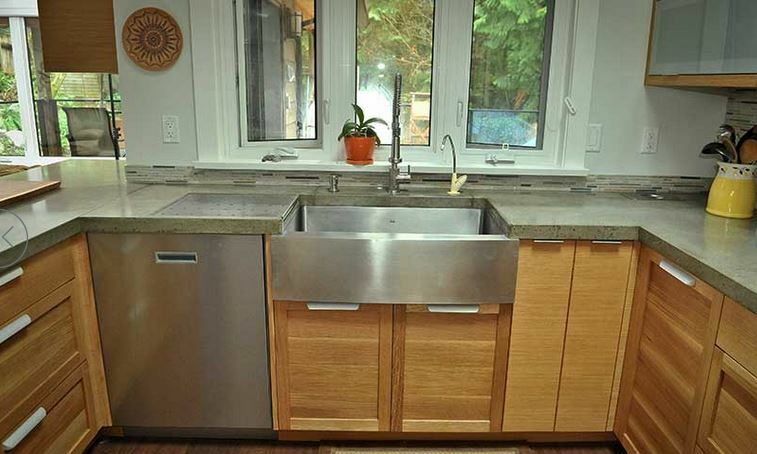 For a truly contemporary design, consider adding a built-in concrete sink and matching counter drain board.